Need help handling round or square bales? Our 3-pt. 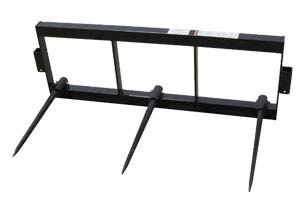 mounted bale spears are designed depending on model, to handle up to 3,000 lbs. bales. 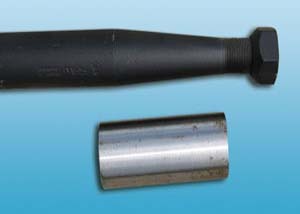 The line features forged spring steel spears designed for hard center bales allowing easier spear penetration of and withdrawal from the bale(s). 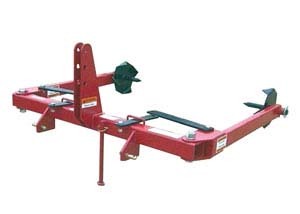 Our bale unroller & handler is ideal for unrolling large round bales for feeding. Conserves hay by unrolling what cattle will eat in one hour. Easy operation from the tractor seat. 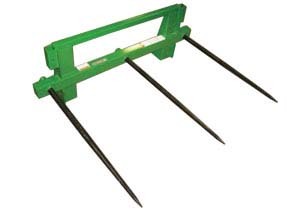 Allows easy feeding relocation, which reduces manure buildup and spreads seeds. The HHU-2045 fits Cat. 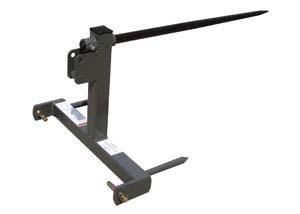 I/II hitches, as well as Cat.I or II Quick Hitch. 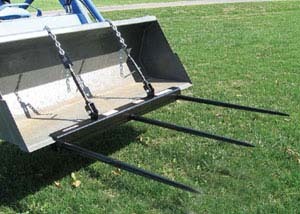 Designed for use on Front Loader Buckets. 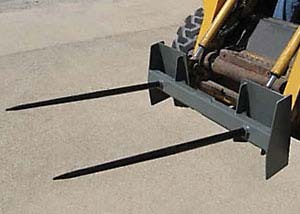 These attachments allow the operator to leave the bucket installed when handling round bales. 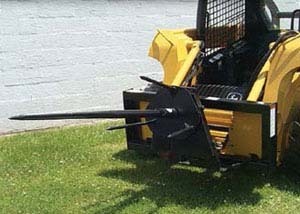 Ideal for the operator who is looking for an economical way to move a few round bales. 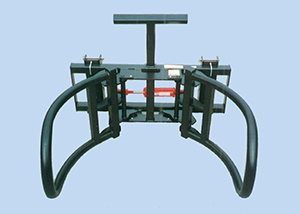 Designed as an efficient hay management tool for moving and feeding round bales. The Spin Off hydraulically rotates the bale, unwinding the hay in to a windrow.